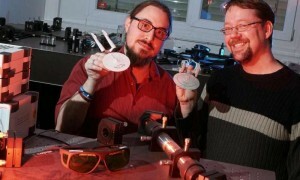 “Star Trek’s vision becomes reality” proclaims the Physorg headline. Alas, not so much. Professor Alexander Szameit from University of Jena has for the first time demonstrated classical teleportation, which won’t beam anyone up anywhere soon, but it is definitely one small step closer to the invention of d-mat and some jolly interesting science to boot. Meanwhile, in the land of fiction, I’ve just finished a new Twinmaker story – kind of. That is, I have definitely finished it, but the question of whether it qualifies as a Twinmaker story is ambiguous. Like “Zero Temptation” and “A View from the End of the World”, it’s told from the point of view of one Clair’s friends, the life-logger Tash Sixsmith. 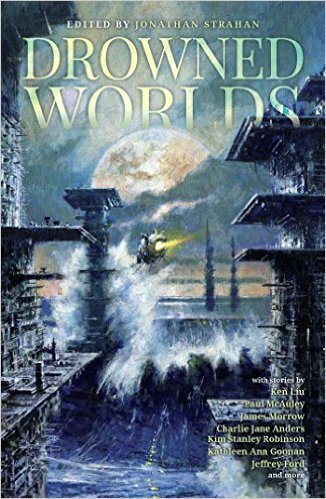 However, the story takes place in an alternate timeline where the events of Twinmaker and subsequent books (particularly Crashland) didn’t happen. This places it in a category with some of the urban myths and other tales that aren’t quite canon, but probably no one cares about that but me! “The New Venusians” is a story I’ve been meaning to write for a long time. The working title was originally “The Venusian Gentleman” (after A Russian Gentleman by Sergei Aksakov), but instead, once it was actually written, I decided to riff on Ultravox’s “New Europeans”. Funny how that happens. It’s a poignant tale about a girl and her grandfather and the end of the world. “The New Venusians” will appear in Jonathan Strahan’s Drowned Worlds anthology, alongside stories by Kim Stanley Robinson, Ken Liu, Charlie Jane Anders, and others, due to be published by Solaris in July.